Sarah Ferguson and Prince Andrew's royal romance has made headlines again after she called her ex-husband a "family" following their flirty reunion on Ascot Day. 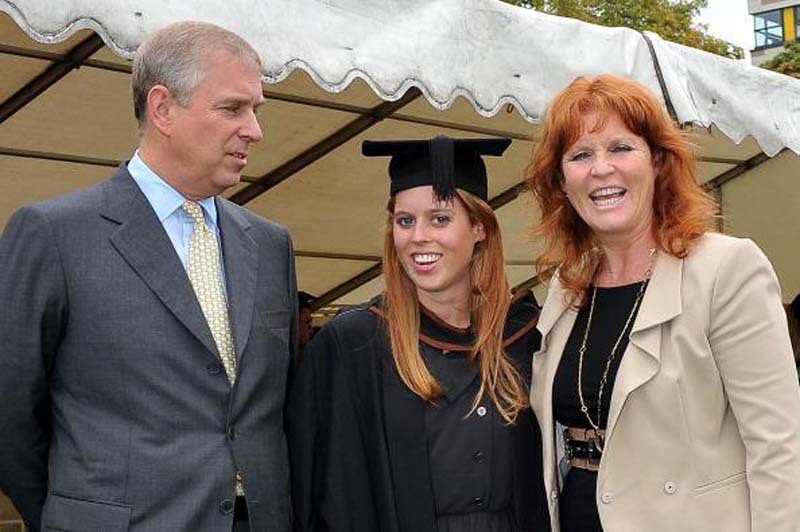 According to Rachel Russell, a journalist for Daily Express, Prince Andrew and Ferguson have known each other since childhood. In fact, they were photographed together when she was just 10 years old. They met at a polo match became re-acquainted at Royal Ascot in 1985. On March 19, 1986, the ex-couple announced their engagement. Prince Andrew reportedly designed the ring he gave to Ferguson when he proposed to her. The Duke and Duchess of York got married at Westminster Abbey on July 23, 1986. Ferguson was deemed as a positive addition to the royal family due to her fun spirit and friendly approach. In 1988, Prince Andrew and Ferguson welcomed their first daughter, Princess Beatrice Elizabeth. In 1990, their second child, Princess Eugenie Victoria Helena, was born. However, the duke and duchess' marriage was rumored to be on the rocks in 1991 because Ferguson was often seen in the company of other men. On March 19, 1994, Prince Andrew and Ferguson officially announced their separation. According to reports, Ferguson was involved in a scandalous photo with her financial advisor, John Bryan. The controversy was reportedly the reason that the royals were very cold at the Duchess of York. "She was famously photographed with her financial advisor and she was wearing a bikini in some garden in the south of France and he appeared to be sucking her toes," royal biographer Penny Juror said on ITV's "The Royal Wives of Windsor" documentary. "She was at Balmoral when those photographs came out. The family came down for breakfast and there was Fergie in this shocking scene and that was the end." Despite Ferguson's scandal, she and Prince Andrew remain amicable. In fact, they still share a home at Windsor Lodge. The exes also reunite from time to time. In fact, they attended the fourth day of Royal Ascot together. This convinced their fans that they still love each other. In fact, many want them to remarry. "You should get remarried," one follower commented on Ferguson's Instagram post. Prince Andrew and Ferguson are expected to sit together at Princess Eugenie's royal wedding in October.